Couples often ask me about music and songs for their wedding film. 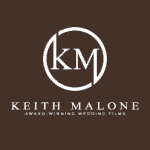 For all of our wedding video productions, we exclusively use licensed music. This means that we purchase a license from a third party provider and they, in turn, grant us the use of that track in our wedding films. Choosing the music for the wedding video is part of the creative and artistic process. It is essential that couples trust us to pick appropriate music and we’ll always do this in a way that best matches the footage that we have filmed. Currently, we use services such as Artlist.io to provide licensed music for our wedding films.